The distribution of No. 1 promotional media „Leaflets“ increased all over Europe by nearly 11 % in selected countries (see analyzing attached). 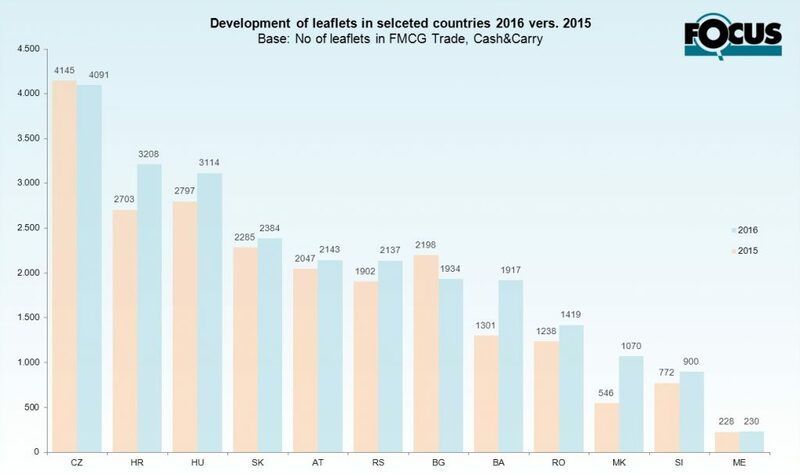 FOCUS counted more then 4.000 Leaflets in Czech Republic in Segment FMCG + C&C, followed by Croatia and Hungary with about 3.000 different Leaflets. 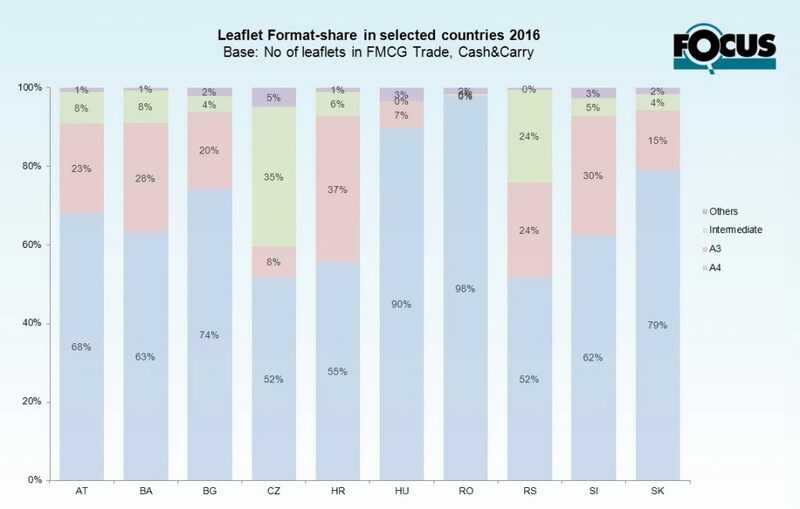 Nearly each of the selected countries have a significant increase compared to 2015 – this means that retailers all over Europe still rely on the important promotion media „Leaflet“. The format A4 is the most used in the countries.